Teasing out the subplots and maneuvers permeating cultural production, Chris Evans operates through fronts of affiliations and loose collaborations evading decisive definitions of author- or ownership. Evans has incited diplomats to work as draftsmen, police to recruit art students, and a commercial sponsor to create a luxury adornment as an exhibit. 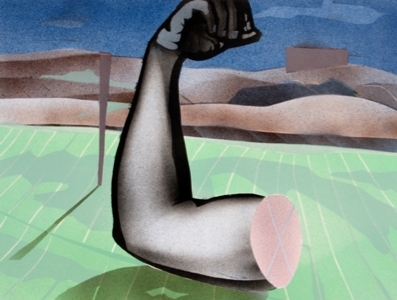 Thriving in nebulous environments where private or corporate patronage crosses the arts, the artist persistently laces this badland with poetic notes beyond political motivation. Evans’s practice filters clouded backstories, social processes, or institutional visions into a single object or gesture—a part for a whole—whilst producing spiraling narratives that simultaneously echo and pervert. At PRAXES, Evans’s Cycle unfolded in four modules entitled Hat, Hat, Hat, and Uniform. 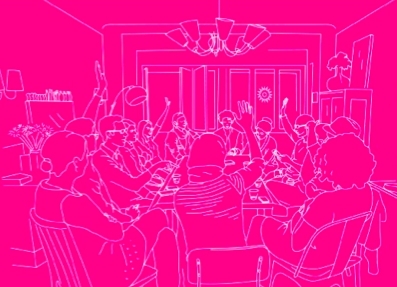 Founded in 2002, the collective Rimini Protokoll has developed their very own branch of experimental theater, documentary performance, film, installations, and actions. Based at the theater HAU Hebbel am Ufer in Berlin, around the corner from PRAXES, yet touring extensively around the world, the group continuously test and augment audience relations. Neither a theater nor an archive, PRAXES aimed to stage dialogues between placeholders, “Ich-Vertretern,” and other surprising experts of the everyday. Divided into various Chapters, this Cycle presented the first extensive investigation of the practice of Rimini Protokoll in an art institution, drawing on a carefully orchestrated crash between exhibitions, live actions, auditions and tryouts, and the making of a book. The initial exhibition module in this Cycle with Chris Evans, entitled Hat, summoned a gallery of airbrush works produced throughout the artist’s career, shown together for the first time. Proxies for (sometimes non-existing) projects, posters, contributions to publications, as well as singular paintings, this body of work—sharing crudely propagandistic yet dreamlike industrial aesthetics—was accompanied by a recreation of Magnetic Promenade (2006) on the façade at PRAXES. 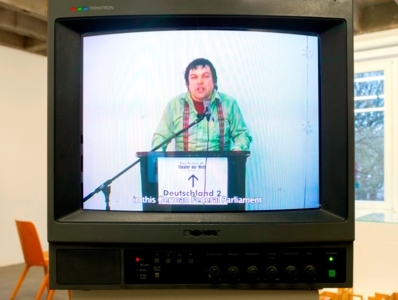 Rimini Protokoll’s opening Chapter at PRAXES spanned an entire decade of work including Deutschland 2 (2002), Hauptversammlung (2009), and Situation Rooms (2013–ongoing), pointing towards radically different acts of involvement, assembly, and audience agency. Hat—Chris Evans’s second exhibition module in this Cycle was divided into three sequential displays- Each employed a recursive pattern of call-and-response forecasting objects that in turn shift the relationship between artist and commissioner, showing first A Needle Walks into a Haystack (2014), second The Rock & The Judge (2005/2008), and finally CLODS, Diplomatic Letters (2009-). The second exhibition module, Chapter II, considering Rimini Protokoll’s practice was dedicated solely to the work 100% City. At PRAXES, re-edited video documentation from more than twenty different editions of this itinerant production was screened together for the first time, examining the project as a traveling, expanded investigation of globalized urban patterns and a form of highly detailed group portraiture. Modeled on a concept that lends itself easily to touring as well as customization—the production has been restaged in over twenty cities around the world from Gwangju to San Diego—each iteration activates local networks of 100 residents. The protagonists are recruited to mirror the demographic makeup of their habitat, giving the statistics individual faces, voices, and votes. In a world bombarded with “lies, damned lies, and statistics,” this serial cross-section of disparate societies hinted at an idiosyncratic representation of various geographies that goes well beyond pie-charts and graphs. 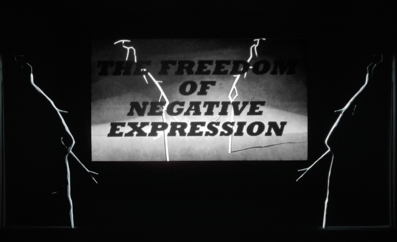 The Freedom of Negative Expression (2007/10), with the tagline “Betrayal is a Fine Art”, and The Fantasist (2007). Following Chapter I, looking at audience agency beyond the live performance, and Chapter II, cross-reading different editions of the single yet itinerant piece 100% City, Chapter III traced the creation of the new production Home Visit Europe by Rimini Protokoll that opened in Berlin in May 2015 via HAU Hebbel am Ufer. Turning the exhibition space into a rehearsal studio, field office, and speculative diagnostic unit, the investigation began with an on-site test-run of Home Visit Europe. Employing courtroom sketches, recorded testimonials, and casually collected objects, PRAXES's upper floor gradually filled up to create a display and discussion of the conditions of production, accumulated in both the preparation and the ongoing adjustments while “live on stage” with this project. 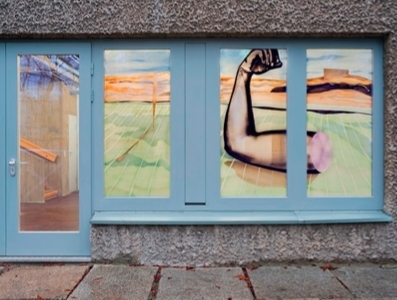 Chris Evans has recently exhibited at Project Arts Centre in Dublin, 2014; Liverpool Biennial, 2014; Kunstverein München, 2014; Tate Liverpool, 2014; Witte de With in Rotterdam, 2012; Taipei Biennial, 2010; and Objectif Exhibitions in Antwerp, 2009. In 2011, Sternberg Press & Westreich Wagner published the monograph Goofy Audit. Evans lives and works in London. 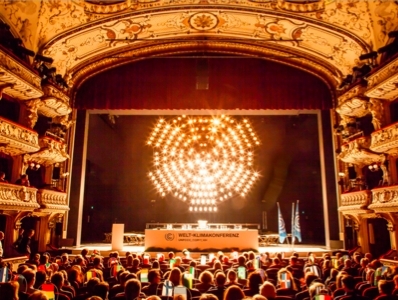 Rimini Protokoll has presented work—produced collectively as well as by the individual members, Helgard Haug, Stefan Kaegi, and Daniel Wetzel—in countless festivals and theaters internationally. 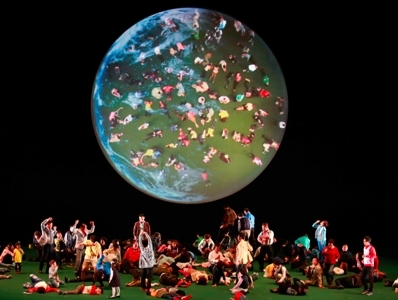 Current productions include World Climate Change Conference, Situation Rooms, and 100% City. The new production Home Visit Europe opened in Berlin in May 2015. Running parallel to the three sequential exhibitions Hat at PRAXES ground floor, the module Uniform delineated the on-going consideration of Home Entertainment (2009-), a serial outdoor artwork by Chris Evans that doubles in size for each new commission, granting every generation a different scale of reference. 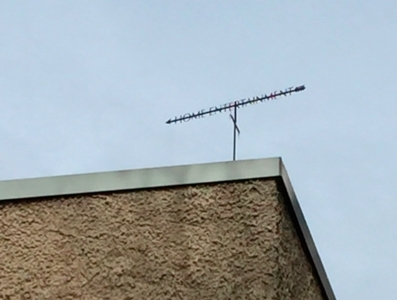 Throughout Spring, this work was examined as both prototype and future potential, leading to the conception and installment of the marquette weather vane pointing away from the roof of the institution Home Entertainment 1 metre (Exception), (2015), and a parallel search for an an ambitious and courageous Berlin institution to house the 8-meter edition.